Ko shot 1-under 70 on Saturday to get to 2-under 211, giving her a one-shot lead over Americans Brittany Lincicome and Gerina Piller entering the final round of the KPMG Women’s PGA Championship at Sahalee Country Club. 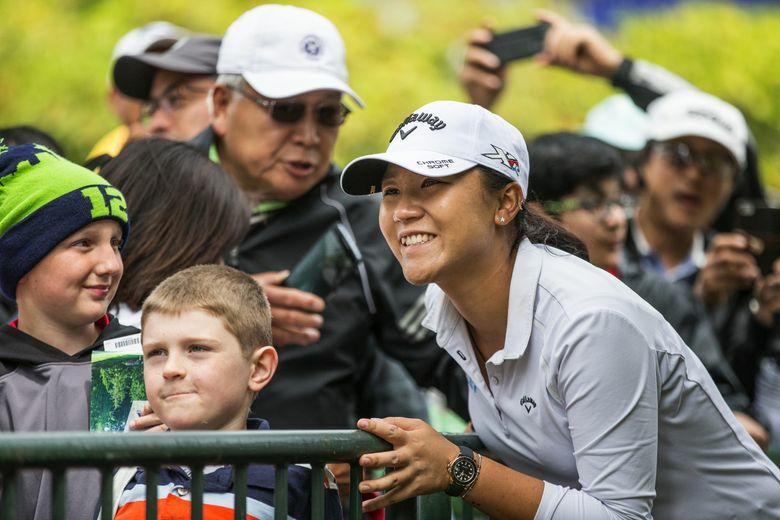 SAMMAMISH — Because she is not a long driver and does not hit a lot of spectacular shots, it’s easy to watch Lydia Ko and forget how great the world’s No. 1 woman player is. Her greatness is in her consistency, keeping mistakes to a minimum. And when she does err, she somehow escapes with a clutch putt or chip. It’s the perfect formula for winning a major championship, and it’s no surprise the 19-year-old from New Zealand is in a great position to win her third consecutive major. 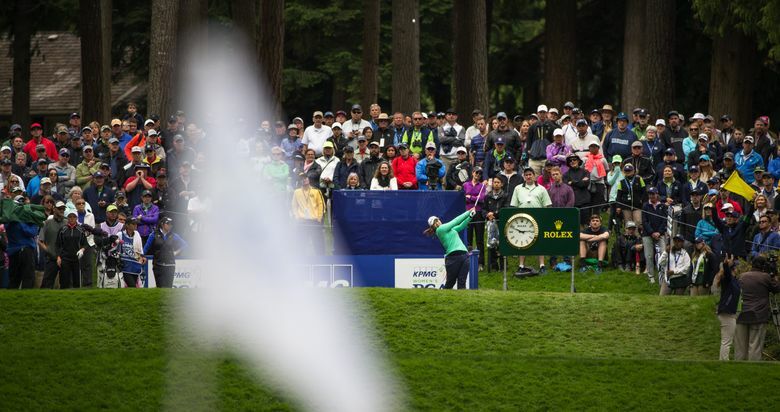 Ko shot 1-under 70 Saturday to get to 2-under 211, giving her a one-shot lead over Americans Brittany Lincicome and Gerina Piller entering the final round of the KPMG Women’s PGA Championship at Sahalee Country Club. Where: Sahalee Country Club, Sammamish. Purse: $3.5 million (second-highest on LPGA Tour). Parking: Free public parking is at Marymoor Park in Redmond, with a free shuttle to the course. Tickets: Single-day adult tickets are $10 for practice rounds, $20 for the first two rounds and $25 for the final two rounds. Tickets for the week are $75. Juniors 17 and under are free with a paid adult. Tickets can be purchased on site or at kpmgwomenspgachampionship.com. Ko might be the favorite, but there are many players who hold realistic dreams of winning this championship and the $525,000 first-place prize — 18 are within four shots of Ko’s lead. That list includes Ariya Jutanugarn, who is seeking her fourth consecutive tournament victory. Jutanugarn shot a 68 and is among a group of six tied at even par. Also in that group are second-round co-leaders Brooke Henderson and Mirim Lee, and Amy Yang, who had the best round of the tournament Saturday with a 66. In each round of this tournament, Ko has not come within three shots of the day’s best score. But her rounds of 71-70-70 have her in the lead, showing consistency is trumping temporary greatness. In this major you look up, and it’s 1 under, and at Sahalee this week, that has been very good. Ko made brilliant saves for par on the 16th and 17th holes, including chipping from on the green on the 17th when she had no angle to putt the ball close. “I was saying, ‘Man, the spectators must think I’m nuts, having a wedge in my hand,’ ” Ko said of chipping on the green. But Ko and Lincicome both bogeyed the 18th hole, helping bunch up the leaderboard. Lincicome also has a game suited for the majors. The 30-year-old has two major titles among her six victories, including the 2015 ANA Inspiration, her only win since 2011. She was second in this major in 2014. Jutanugarn, using a 2-iron on most of her tee shots, had her 68 despite a double-bogey on the 15th, leaving her with a good chance at another victory. She said she was more patient Saturday than in her first two rounds. “I just really wanted to play under par, and I did,” she said. Henderson, the 18-year-old star from Canada, hit it into the water on the fifth hole for a double-bogey, but she played the final 13 holes in 1 under to stay in contention. 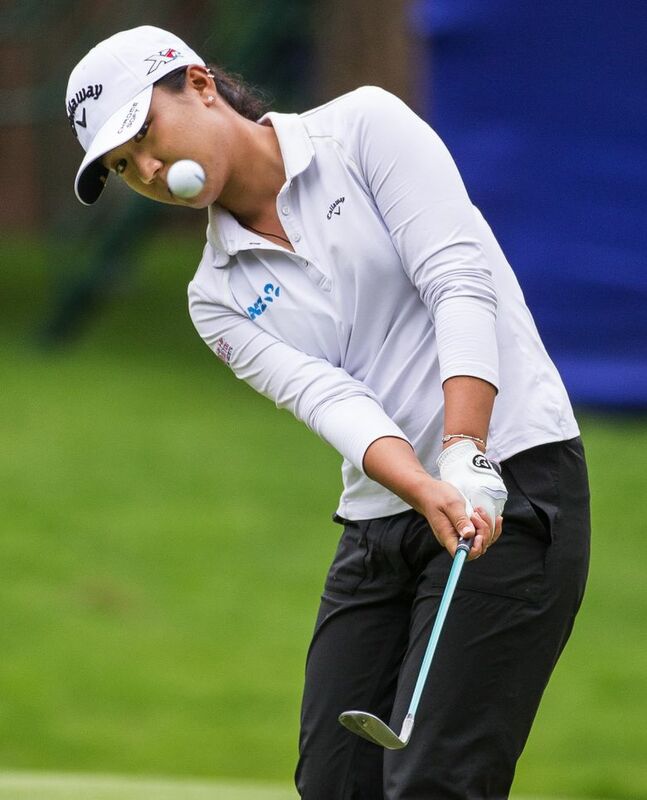 But they’ll all be chasing Ko, a 12-time winner on the LPGA Tour, who seems very comfortable in the leading role. After Saturday’s third round at Sahalee Country Club, par 71.